Morning Bloggers from an extremely wet Ireland. Just realised this morning I hadn’t updated my stitching earlier in the week. 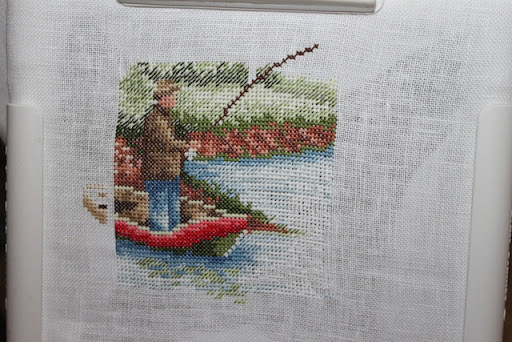 Last week I started the fishing piece on its 10 hour rotation and that’s all I seemed to have gotten stitched last week. I’m back to half stitches in one and two strands so its taking a bit of concentration but getting there. Next on the rotation is the Gorjuss kit for Elizabeth’s birthday next month. I’ve not worked on this since its turn in January so it needs cracking on with so its ready in time. The rotation is not complete on this, it needs another 5 hours work but here is where it is at the moment and where it started from. In other news, it was our wedding anniversary on Sunday gone, 12 years married this year, seems only like yesterday. This afternoon Dominic sits his first piano exam so we are wishing him all the best for that and we have a surprise party planned for afterwards for him. Pictures to follow of that next week. This entry was posted in Uncategorized and tagged Gorjuss, Out Fishing.. Bookmark the permalink. Great progress on that Fishing pic. I love those Gorjuss designs. They are pretty fast to stitch. 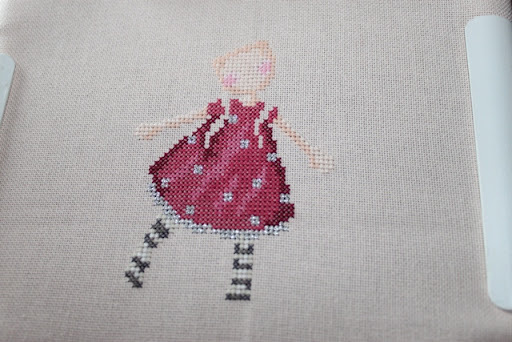 I hope Dominic's exam goes well…..I feel sick just thinking of it, I used to get so nervous before hand I would shake like a leaf….I'm sure your boy isn't silly like me, and how nice to have a party afterwards.Your stitching looks lovely, I love the little girl, very pretty. Oh best of luck Dominic, Im sure he'll do well.Yoour pieces are coming along lovely Ruth. Happy anniversary!Good luck to Dominic.Beautiful stitching. I love the fishing piece. Belated Happy Anniversary wishes to you both.Both projects are looking great. Both projects are looking lovely!! Happy Anniversary to you both!! You made great progress on your fishing piece! Congratulations on your anniversary!!! 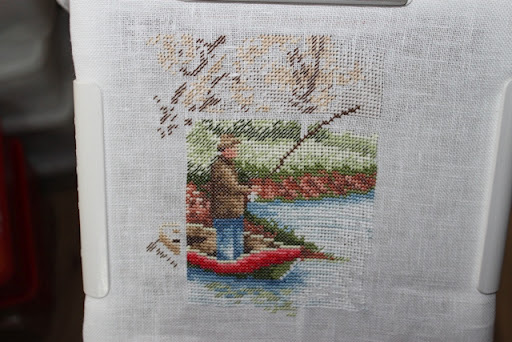 The fishing pic is looking amazing Ruth! And your "gorjuss" is looking pretty gorjuss too 🙂 Congrats to you and Ian and good luck to Dominic! Happy Belated Anniversary! You're making great progress, as always! 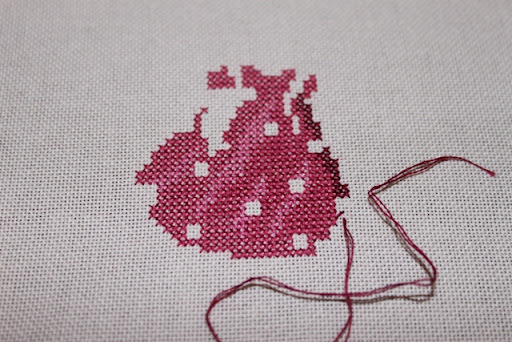 I'm sure they'll be finished in no time and you'll be stitching two more! You made wonderful headway on both projects. Hope you're enjoying yourself there in Ireland. Travel Safe. Making rounds today from my newest blog, Flat Stanley and Friends. Wanted to invite you over for a look see. And since you're a Mom etc, thought you might be able to share stories or pictures of a Flat Stanley adventure.He needs some help getting started, with visitors, comments, followers, and sharing stories.